This looks amazing!! I do have a Super Bowl party coming up & I know the guys would love this!! This looks like a fun idea for a party! 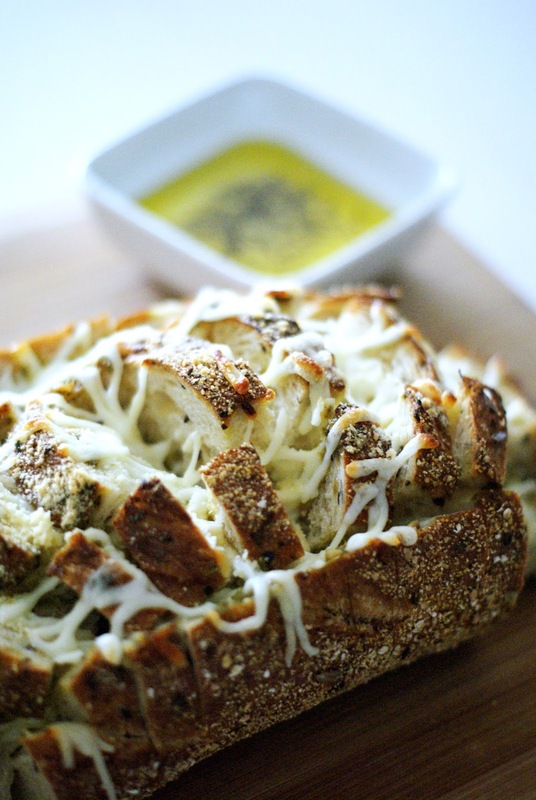 I wish I could eat cheese because this is one of my favorite type of appetizers! I saw this on your Twitter and was basically drooling. This is a pinner for sure! Oh my gahhhh this is my love language seriously. 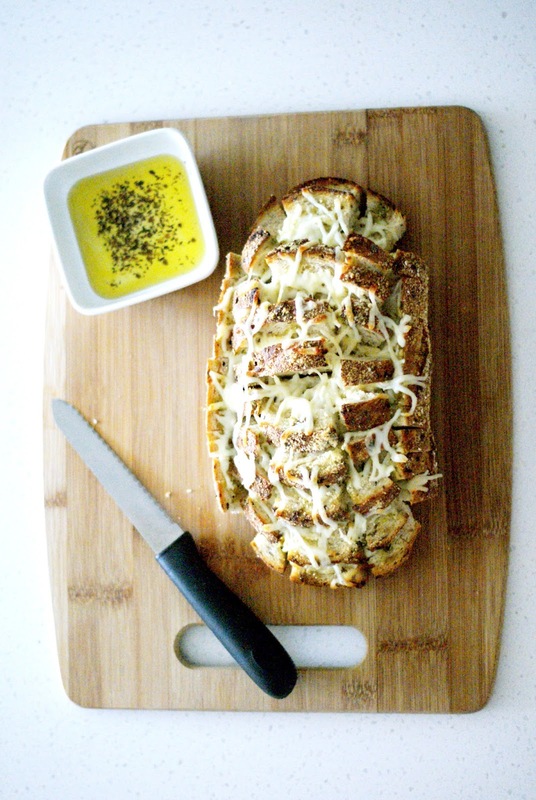 Bread + cheese... you can't go wrong! This looks so good! Saving this! Omg girl this looks AMAZING! 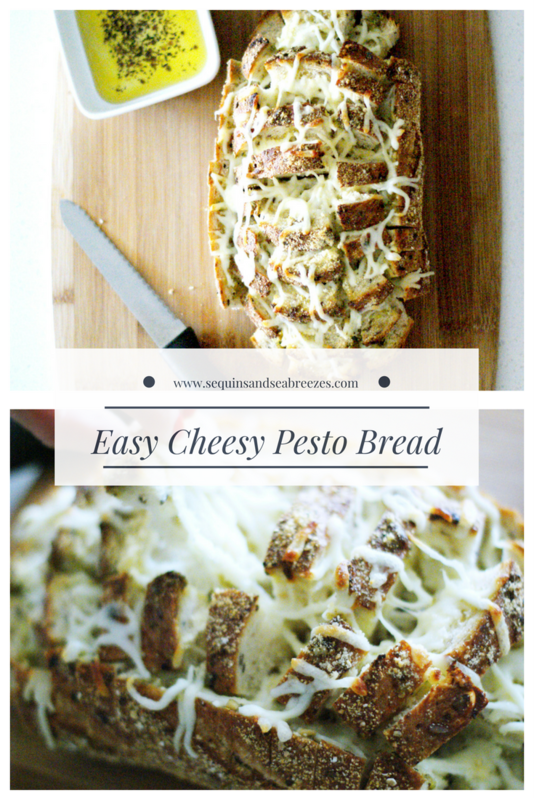 It combines 3 of my favorite things--carbs, pesto and cheese haha! Definitely trying this recipe! That looks so delicious. Im not really eating bread these days but this is tempting! Oh yum! 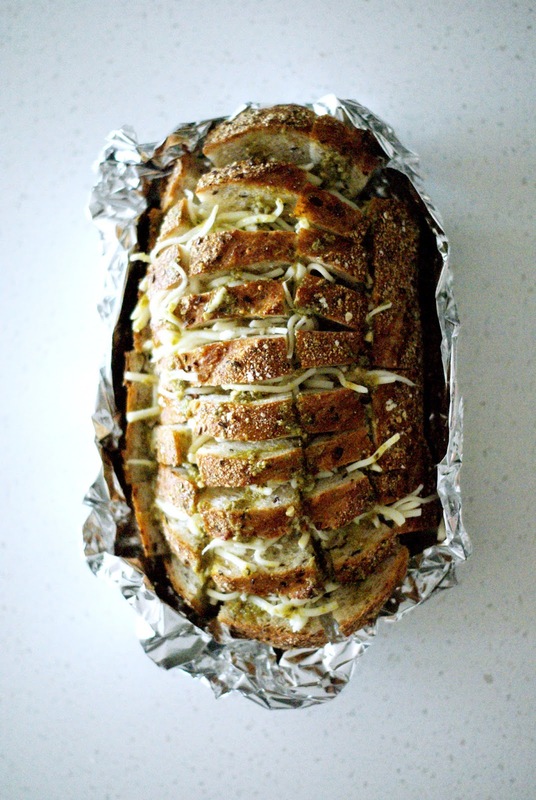 I love a good pull-apart bread, and pesto is the best! Sounds super easy and delicious! Beautiful photos too! This looks SO good!! I love how easy it is -- perfect for having guests over! 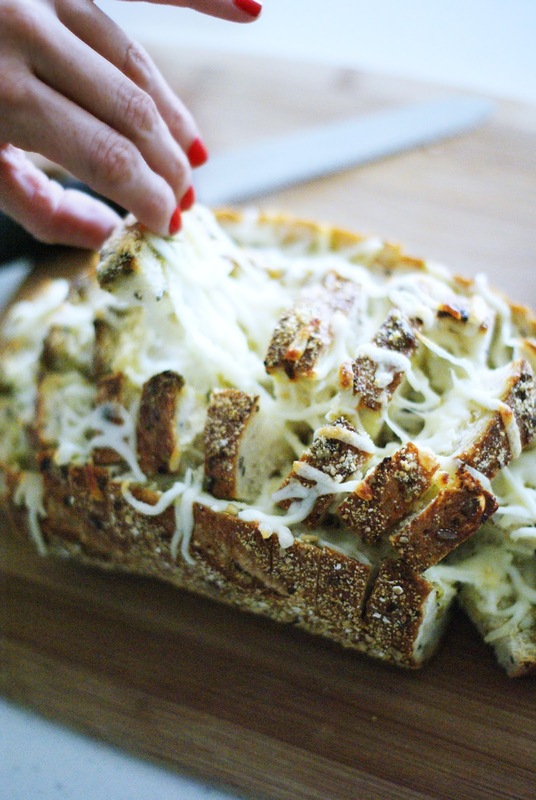 I am a huge sucker for bread and cheese- Yikes this is dangerous for me! So good for the Super Bowl and we always host so this is going on the list. YUM! Well, I know what I’ll be making for the super bowl now - YUM!